Brian I. Footer is the Managing Member of the Footer & Associates LLC Philadelphia office. His practice concentrates in business law, taxation, estates and trusts, real estate, and corporate and commercial consulting. 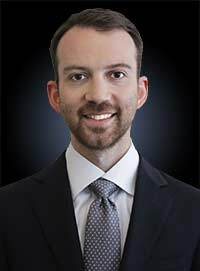 Brian is admitted to the Pennsylvania Bar, is licensed to practice before the United States Tax Court and serves as an arbitrator in the Philadelphia Arbitration Program. He is a frequent speaker and lecturer for the CPA Continuing Education Society of Pennsylvania where his presentations have been attended by hundreds of professionals. Before establishing his firm, Brian was previously a judicial law clerk to The Honorable Mark I. Bernstein and the Honorable Frederica Massiah Jackson in the Philadelphia Court of Common Pleas and held positions in large Delaware and Philadelphia area law firms. Brian Footer regularly delivers lectures to the CPA Continuing Education Society of Pennsylvania. IRAs: "Problem Fixes and Planning Tools"
S Corporation Tactics: "Strategies for Everyone"
Tax Controversies: "Have a Plan Before Stepping in the Ring"